Manchester United put on a brave fight vs Barcelona at Old Trafford but in the end, the Catalans edged the game 1-0. Barcelona were handed an early lead thanks to a Luke Shaw own-goal and that was more than enough to settle the first leg. 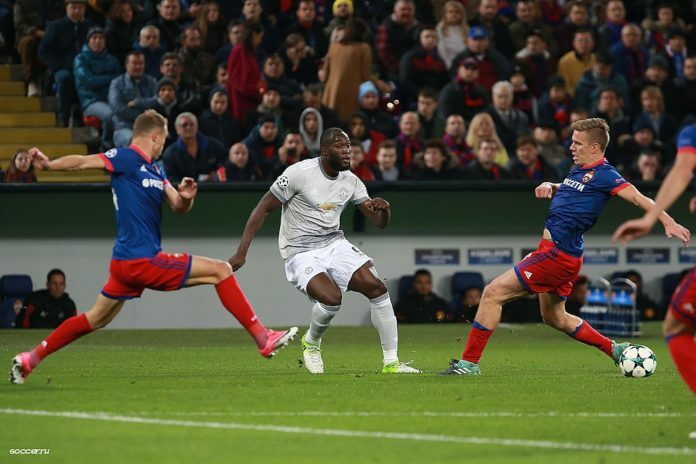 United though performed far better at home this time around that they had done against PSG in the last round but a lack of quality in the final third meant the likes of Rashford and Lukaku weren’t able to test Ter Stegen throughout the whole 90 minutes. Most pundits believe Man United can still make a comeback during the second leg given their recent heroics against PSG at the Parc Des Princes. But Romelu Lukaku believes the tie at Camp Nou will be completely a different affair. “Barcelona is a whole different team, with all the respect that I have for PSG,” Lukaku told French radio station RMC(as reported). Paul Pogba though had other predictions. Previous articleMan United have found a £30m replacement for Ander Herrera: Who is he? Next articleChampionship side join Rangers in the hunt for ‘this’ 26-year-old midfielder: Who will win the race?